We do know almost everything! Now let’s complicate things a little bit and talk about TYPES of types. A value type implies that a variable associates directly with some data (or value). Variables of value types always keep a unique copy of that data. It's extremely important to note that the value of the secondScorecard remained 10 - the same value it had when we assigned it using secondScorecard variable. Once again, the line of code var secondScorecard = firstScorecard made a copy of the value 10 and kept it no matter what we did to the original firstScorecard variable. This is how value type variables work, they always keep a copy of what’s given to them. And this behaviour is what we've assumed for variables so far. Which types are value types? Value types are simple types, like the numeric types we know (Int, Float, Double) as well as Boolean, String, Array, Dictionary and a few more sophisticated ones which you will learn later :ange:. Let's look at the second category in detail. A reference type is only a reference to the data. One or more variables of a reference type share a single copy of data. In the case of reference types, the actual value of a variable is a reference , or in other words, the address of its data in the memory. That reference points to its data. For that matter, variables of reference types are also called pointers. Joe shared this knowledge with you. Now you possess the same information, pointing to the exact same spot in Africa. A Russian spy Agent01 overheard your conversation and now knows all about the treasure and its coordinates. All three of you can now refer to the very same treasure. How do we code all this o_O? This is how reference types work - they always share! I’m sure you now realize how important it is to know the difference :pirate:! So, in contrast to value types, reference types do not make a copy of data (the treasure), they only store the reference to a single copy of that data (the coordinates). a value type variable has its own copy of data. a reference type variable only refers to a copy of data and other variables of the same type may refer to the same copy. Let’s make it a bit more complicated just for fun. What happens if all 3 of you forget the coordinates? Well, all the references are lost. That’s called a memory leak! It occurs when the data is still present in memory but no variable is pointing to it. This is a very dangerous situation, however, the good news is that most of the time we don't have to worry about it because it’s all managed ‘automatically’! Swift implements what’s called automatic reference counting (or ARC for short). Every time we create a variable to reference some data, the counter gets incremented. Every time a variable that points to that data gets dismissed or reassigned to point elsewhere, the counter gets decremented. And as you may now guess, when the counter becomes zero, the memory that was occupied by that data become available for other purposes. Which types are reference types? As you can tell from the example we used here, classes are reference types! And when is a copy of data created in memory? Now, what if I dismiss the first (the original) variable, will the second one still point to that data? yes, it will still point to the same data and the data will remain unchanged. 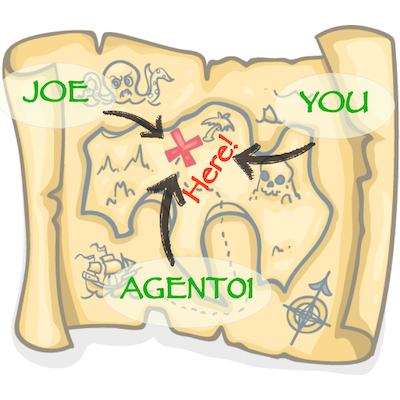 It’s like if Joe, who originally shared the coordinates of the treasure with you, forgot the coordinates. Not a big deal - you still remember it and the treasure is still there :zorro:! There’s a important trap we must be aware of with this concept: the direct comparison of variables. If we were to compare value type variables, say, two integers for our scorecards, the comparison is applied to the numbers themselves, so we compare 10 with 8. When we compare reference type variables, only the references get compared. 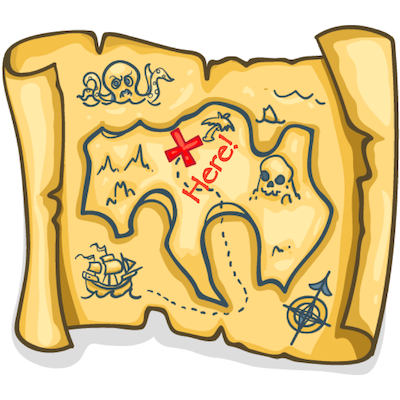 For example if you know coordinates of a treasure and your friend Livia knows coordinates of a treasure, you can compare your variables, but the only thing you can establish is whether you are talking about the EXACT same location. 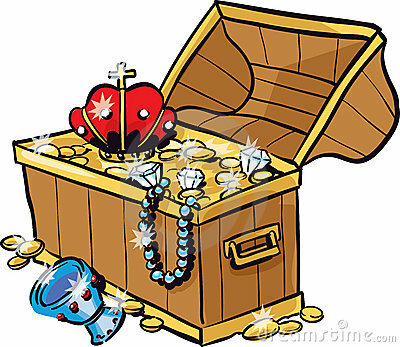 Alternatively if coordinates are different you may or may not be referring to the same value of the treasure, even if both locations store 5 tons of gold! That’s exciting, isn’t it ;)? And what's the relation of this to NeXTDestination? You noticed that we have sets of destinations and entertainment options available to plan our journey. 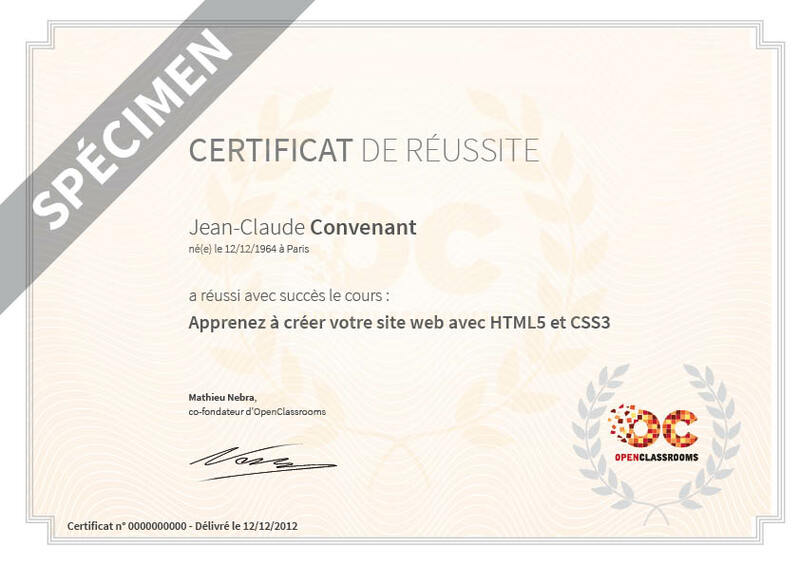 As we chose them, we will be collecting them in our accomplishments and placesVisited. We will need to be mindful of the fact that those initial collections (destinations of the adventure class and entertainment options of the destination class) will be shared instances of data! Value types - each variable associates directly with its value in the memory. Reference types - each variable points to its value in the memory, i.e. stores the memory address of its value. Direct comparison of variables of value types compares the values themselves. Direct comparison of variables of reference types compares the pointers/addresses in the memory but NOT the values themselves (! ).